This property is for seniors 62 or older or disabled of any age. This property is partially subsidized through the USDA Rental Assistance programs for 5 out of 27 units. With this subsidy you will pay rent based on 30% of your income. Located in beautiful Eatonville, WA. About 45 minutes from Tacoma toward Mt. Rainier. 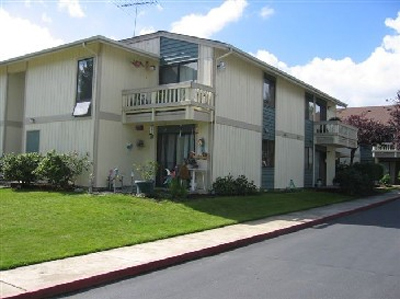 In town located close to stores, restaurants, medical facilities, senior center, parks. On a bus line, shuttle service, potlucks, game night, bingo, cards and other fun activities. Planting areas for residents. Nice grounds. Below Moderate USDA limits with preference for lower limits. Rent listed are our non-subsidized rents. Subsidy is very limited and usually not available at move in. Without subsidy, your rent will be between the rent ranges listed, depending upon your income. This property is partially subsidized through the USDA Rental Assistance programs for 5 out of 27 units. With this subsidy you will pay rent based on 30% of your income. We also accept Housing authority vouchers in our non-subsidized apartments.